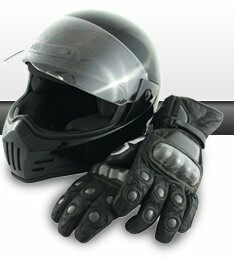 From 27th April 2009 the Motorcycle test will be in two modules to meet EU standards. The higher speed exercises and other exercises MODULE 1 will be tested on safe off road sites and take about ten minutes to complete. 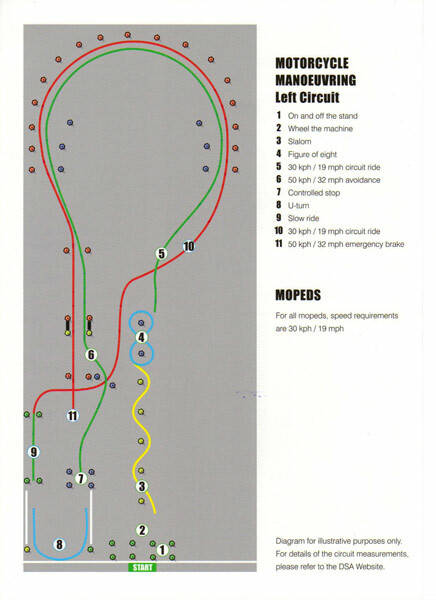 At least two exercises carried out at slow speed, including a slalom. 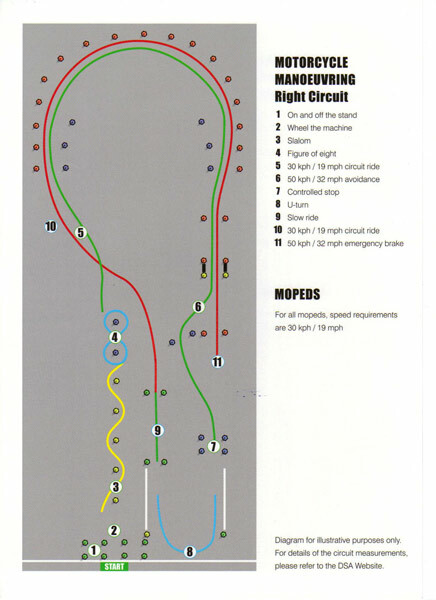 The diagrams show the proposed layout of the manoeuvring area, on the day of the test, candidates will be asked by the examiner to demonstrate their riding ability on either the Left hand or Right hand circuit. The accompanied on road element of the test consists of a road ride covering a variety of road and traffic conditions and will also include normal stops, Hill and Angle starts. Candidates must pass Module 1 to proceed to the on road element. Theory test for Full motorcycle licence. Training can begin before taking your theory test, but you must have passed your theory test with your certificate in hand before you can take the Module1 and Module 2 tests as you will need to produce this for the examiner on test day. 16 years old? You are eligible for a provisional moped licence which allows you to ride up to 50cc moped providing you obtain a Compulsory Basic Training certificate (CBT or DL196) by passing your CBT. You still have to display 'L' plates and cannot carry pillion passengers. When you reach 17 you can upgrade straight to a 125cc. * If you passed your car test before 1st February 2001 then you are automatically entitled to ride a moped without 'L' plates and carry a pillion passenger without taking a CBT (although if you are new to two wheels then it is strongly recommended that you still take one).